Sometimes, it’s easy to forget about local artists and galleries when you can buy a generic canvas painting from the store for $20-$30. Through this process, however, the magic of genuine and compelling art is lost. 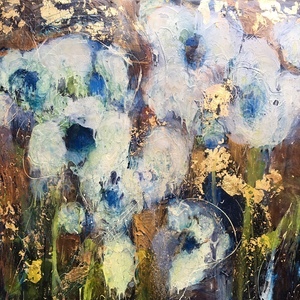 At Red Door we thrive off of the arts around us, and that’s why we want to show you some of the outstanding artists in our area, as well as introduce you to some beautiful galleries. This man is a phenomenal artist. 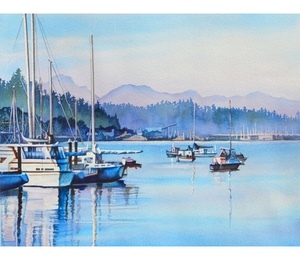 Thomas Boatright was born in Southern California but has lived in Washington for over thirty years. 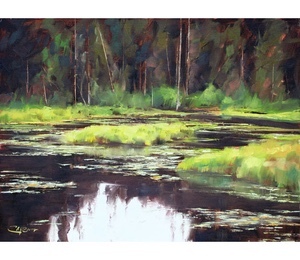 His journey of artistry began as a child, but in 2008 he was compelled to his life as a painter. 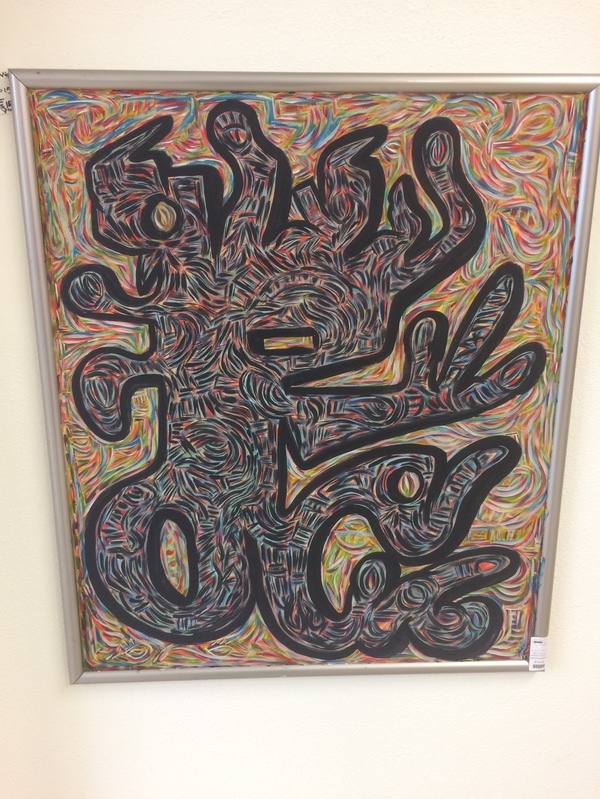 Tom’s art is an abstract style that is birthed from the depths of emotion. The natural world and humanity itself are his inspiration, and his art is as much for himself as it is for others. 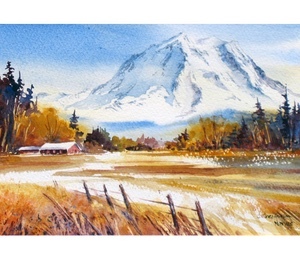 With an array of awe-inspiring paintings, Tom is a highly sought after artist. His style is unique and is often evolving, though each piece maintains his overall signature feel. The techniques he uses are both refined and unpredictable, making his art all the more authentic. The process of his work is what truly reveals the depths of heart put into it. His paintings are done in layers, each one bleeding emotion into the next. The textures, colors, and shapes of his work pull together to portray what our emotions look like beneath the layer of our mind. Along with his straight sale paintings, Tom also does commission work. In fact, commissioned paintings are the bulk of his work. 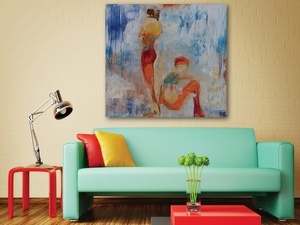 Whatever your space is, he’ll paint you something to reflect the aesthetic and environment of your desire. To learn more about Tom Boatright, check out the links below. 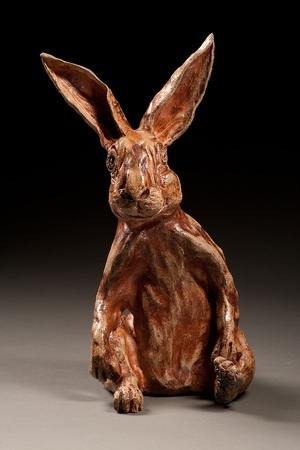 Not to be confused with Mr. Boatright, Tom Anderson has his own individual artistic flare as well. 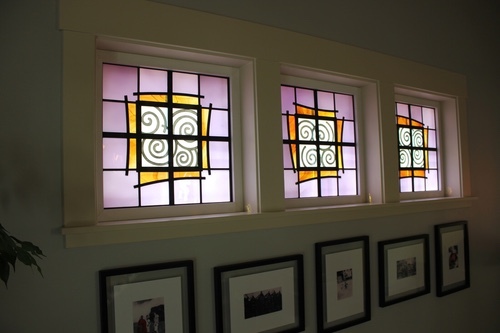 Having worked with glass, metal, musical instruments, and paint, this artist is one of Olympia’s finest. Tom was born in Salt Lake City, Utah. His journey to college is what brought him to Washington, and eventually he ended up right here in the Olympia area. His art has been a passion of his all this time; he wouldn’t have gone through extensive schooling if it weren’t! 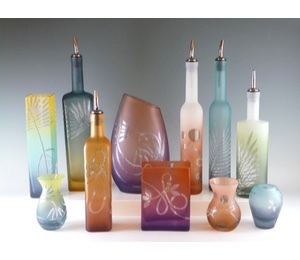 His glasswork is something to be admired, and he spent some of his life teaching new glassworkers this type of art in the 80’s. 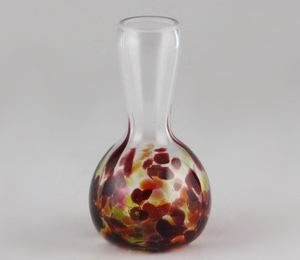 Some of his methods include blown and cast glass, as well as fusion. 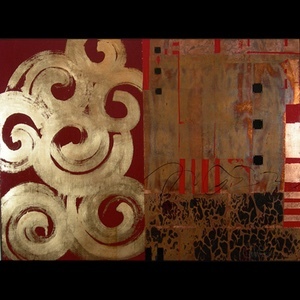 Some of his most recognizable pieces of work are mixed media. 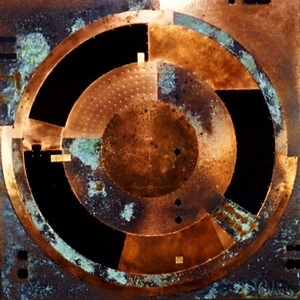 He takes an assortment of recycled metals, such as copper and aluminum, and applies a variety of other materials to it. 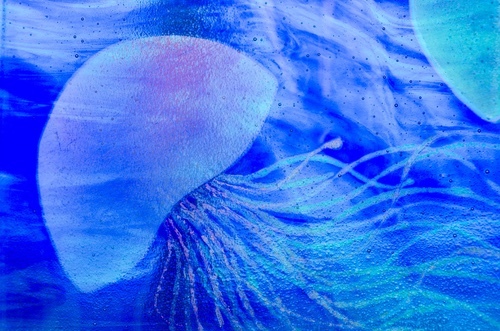 The process of adding chemical formulas to the art creates an assortment of texture and color, and the results become his “canvas” as he says. 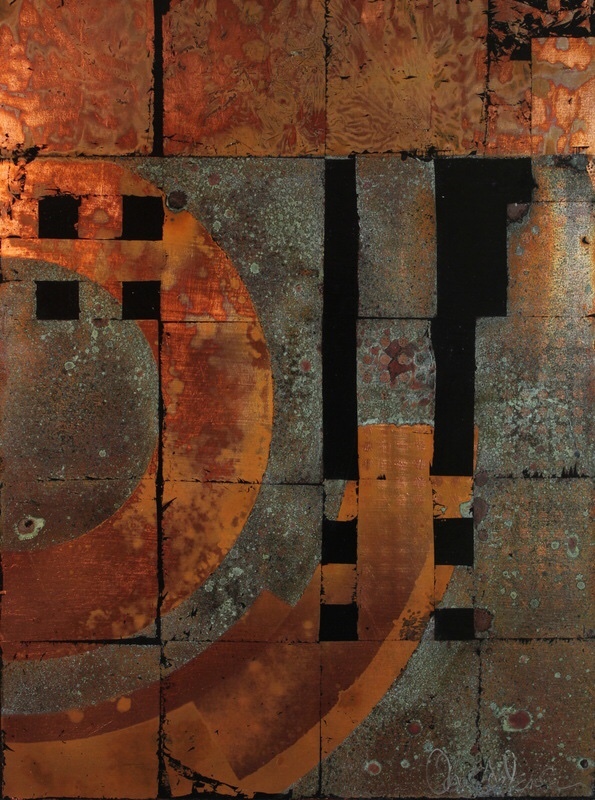 The work he does is spontaneous, usually his inspiration being drawn from the connection of the properties he uses. What he creates is an expression of his own life, and in return a way of expressing other individual’s emotions. 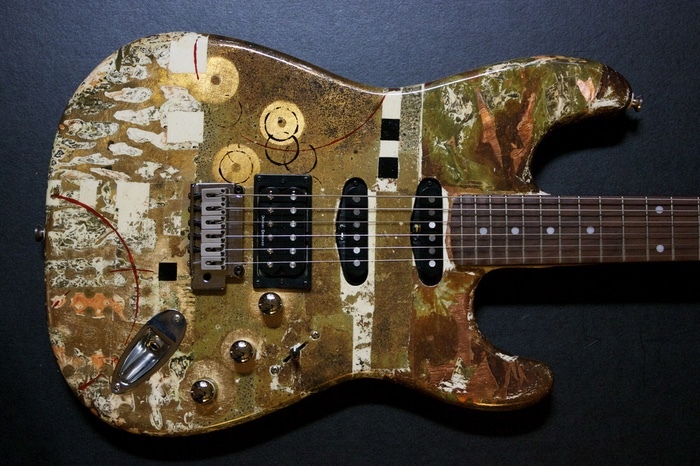 Aside from the glass and mixed media, Tom works with guitars as well. 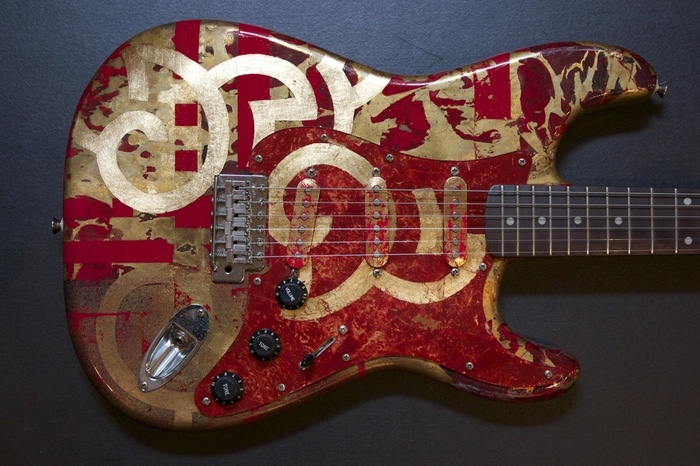 Whether it’s a varnish, gold leaf, or mixed media, his musical creations are one-of-a-kind. 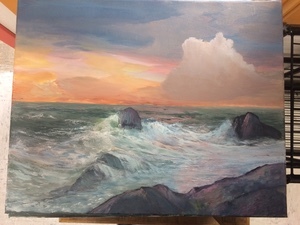 You can visit his website and facebook page to see more, or find his artwork in an assortment of galleries in Washington, Oregon, California, and Hawaii. Tom also runs a gallery of his own that is definitely worth checking out. The last artist we’ll be featuring in this post is certainly not the least. The thing we love about these different artists is that they are all so unique. Chris is no exception! 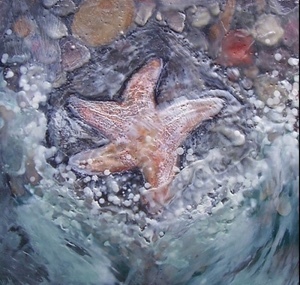 Another local painter, Chris Gerber, creates custom work that is full of life and texture. 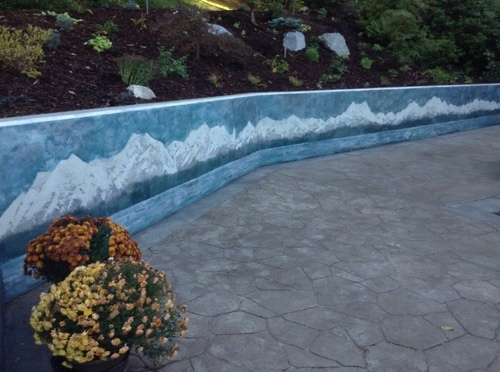 Whether you’re after an indoor or outdoor project, his art is marvelous in either settings. His specific forms of painting are very textural. 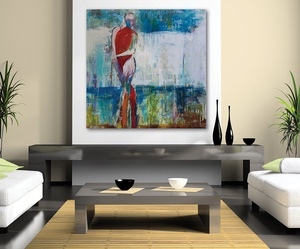 The results provide a life-like appeal, even amidst the abstract style of some of the work. 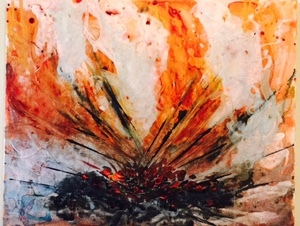 The encaustic paintings are some of our favorites. 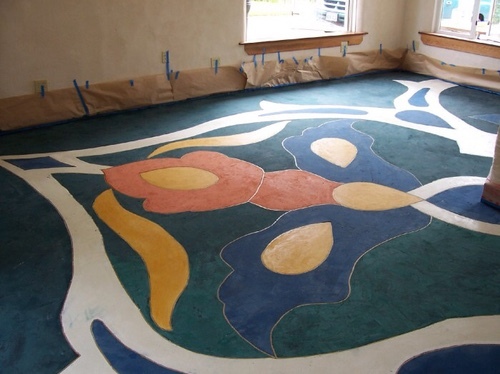 As stated above, Chris’s floorals are like a mural but painted along the ground. 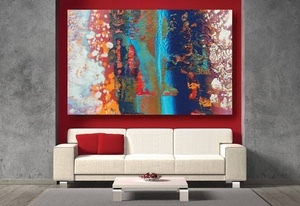 Imagine being surrounded in art, including beneath your feet! Of course, every space needs a good accent wall, and Chris’s are phenomenal. Such a small section of a room can transform the entire space, and he does so by incorporating a welcoming touch. He’s also fond of using environmentally friendly materials so you can’t go wrong with that. 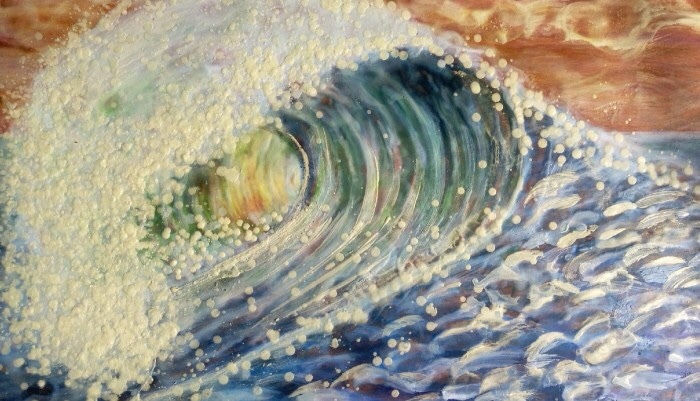 His encaustic paintings capture the motion of life and nature. The materials used are meant to refract light, which gives them a living appearance that is beyond captivating. When it comes to texture, you’ll find it in all his work, but especially in the neo eco fresco. 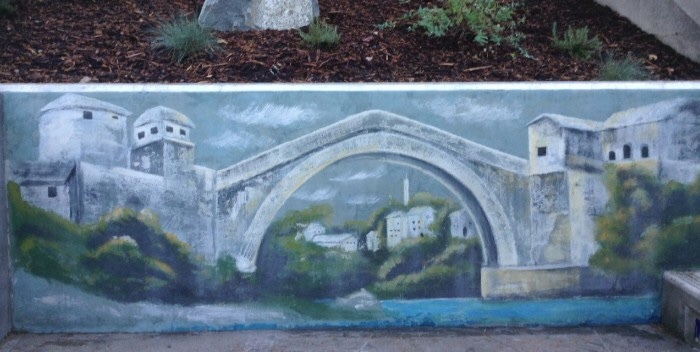 This specific type of painting is used indoor and outdoor, and is made with materials like cement. While working in the wet, Chris crafts a masterpiece that stands out on whatever form of canvas. To see more, visit his website and facebook page. 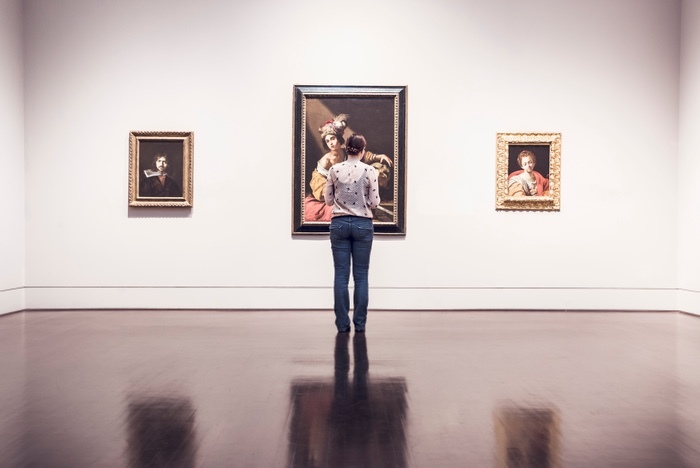 Here is our list of recommended galleries in the Olympia area. We encourage you to visit them, as there’s something much more personal and satisfying about an original piece versus a mass-produced canvas. Boom is a newer gallery in the Olympia area. 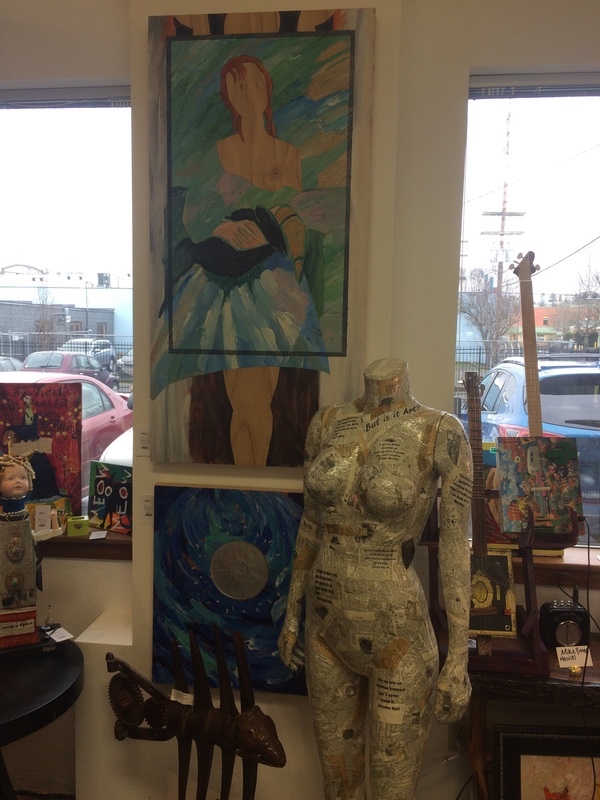 They were the first gallery in Tumwater, and are continually growing in the amount of art and artists they display. You can also enjoy your time here by making a stop to their little coffee shop. 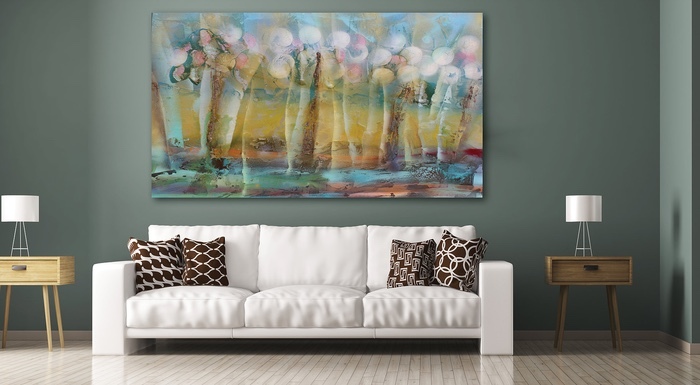 A beautiful gallery that portrays local and national artists. For high-end established artists, this gallery is the place to visit! You can visit their website for further details. This gallery is beautiful compilation of mid-market, local art. It is a wonderful and unique experience stepping in their doors. You can see more from them by visiting their website. There truly is art all around us, and you don’t have to go further than your own local area. 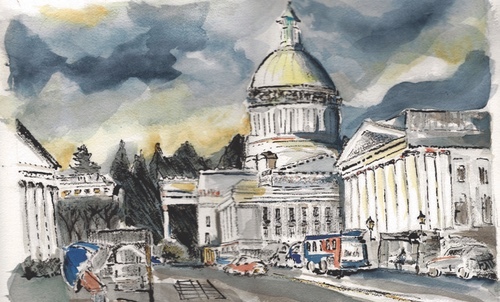 These artists and galleries aren’t the only ones, but we hope we’ve inspired you to take a look around and see the beauty of the creativity within Olympia. What about you? Do you have any favorite artists or galleries? Let us know in the comments!